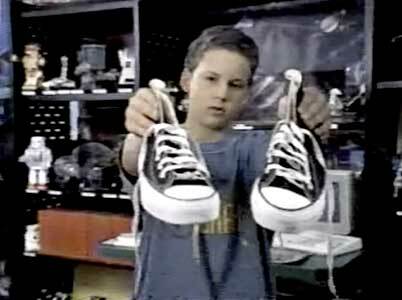 Ben Savage, Jarrett Lennon, Zachary Bostrom and others wears black and red high top Converse "Chuck Taylor" All Stars in the film. 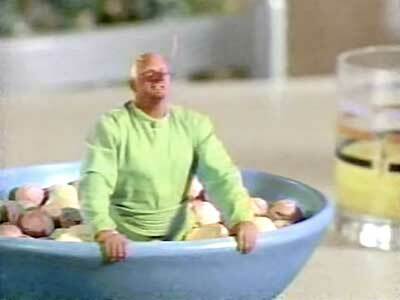 Areck, a space alien, appears in Richard’s breakfast cereal. Twelve-year-old Richard Bickerstaff (Ben Savage) is passionate about anything to do with outer space exploration and the popular fiction associated with it. In his room are various spaceship toys, games, and models. He currently is saving for the ultimate action figure: Jeremiah, the Supreme Space Lord of Gygrax. As the movie opens we see Richard hold up his new pair of black high top chucks, and tell his mom (Teri Garr) that he now hates them and wishes he had gotten his chucks in the color red. The reason for this is because a new kid at school, Dorf (Zachary Bostrom) wears red high top chucks. Everyone at school thinks that Dorf is so cool, they all are getting red high top chucks themselves and wearing them. Richard’s mom replies that he thought his black chucks were cool when he bought them two weeks ago, and he doesn’t have to be like everyone else, so end of subject. Dorf is the popular new kid at school. But is he a kid or an alien from outer space? Mrs. Bickerstaff then brings out a surprise for Richard, a box of Alien Crisp cereal for his breakfast, a free sample that had arrived in the mail. Richard pours himself a bowl, and is surprised that there is a flat man figure there along with the round regular cereal pieces. When Richard pours milk on the cereal, the man figure sinks down, and after some noises and swirling in the bowl, out comes a living green miniature space alien named Areck (Sinbad). After his initial shock at seeing Areck, Areck tells Ben that he has been specially picked to help fight against the Drayns, another alien race bent on taking over earth. Areck tells Richard that there is a Drayn in his area who must be stopped before he starts to divide into more beings and overtake earth. This is a super important secret mission that no one else can know about it, even Richard’s best friend Henry (Jarrett Lennon) who arrives at the door a few minutes later. Henry is told that Areck is an action figure. The camera focuses on Henry ’s new pair of red high top chucks. It’s a good thing that Henry doesn’t know about Areck, because he is already under the spell of Dorf, who turns out to be the Drayn alien. Henry shows off his brand new pair of red high top chucks which confirms his new allegiance, causing a rift in their friendship. Dorf has special powers that include the ability to disguise himself as another sixth grader in Richard’s school and give him Pied Piper-like control over the other students and teachers just by smiling at them. In the film, those under Dorf’s spell are easy to spot by their footwear, red high top chucks. But for some reason Dorf’s smiling at Richard doesn’t work, and the two soon become rivals and enemies. Although Dorf cannot control Richard, he can do other things to him like turning his feet and hands purple. 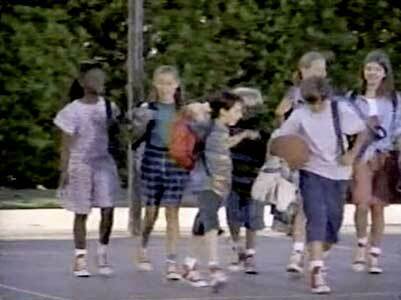 All the kids at school under the influence of Dorf wear red high top chucks like he does. With everyone else falling under the influence of Dorf, it is up to Richard and Areck to stop him before he divides into new beings, which will happen every five days. The problem is how. Finally Areck remembers that all Drayns are very allergic to one type of food, but he can’t recall what it was. Drayns are voracious eaters, and if they can get Dorf to eat the wrong food, he will blow up. Richard tries to figure out what that food is by going through everything in his mother’s cupboards, landing him in trouble. The remainder of the story is about how Richard and Areck struggle to accomplish this and return things back to normal. Aliens For Breakfast is a fun family film with a good message about the importance of being yourself and a showcase for high top Chuck Taylor sneakers, still a popular footwear choice for tweens today. 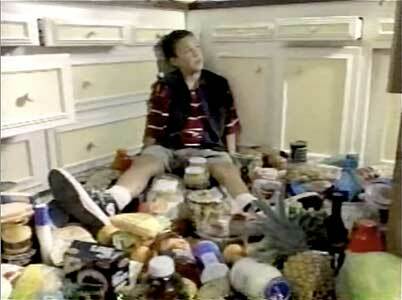 Richard goes through everything in the kitchen cupboards trying to find the one food Dorf is allergic to. Richard shows off his new pair of black high top chucks. 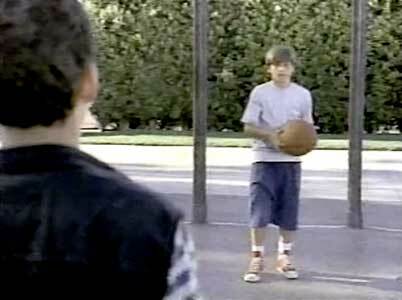 Ben Savage in his role as the lead character, Richard Bickerstaff, wears black high top chucks throughout the film. Jarrett Lennon (Henry) and Zachary Bostrom (Dorf) wear red high top chucks. Additionally, the other kids and adults under the influence of Dorf wear red high tops like he does. There are even a couple of the extras who wear mismatched pairs of black and red high top chucks. 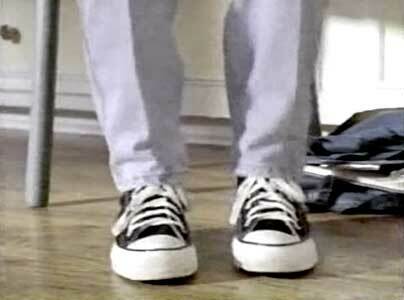 The best chucks scene is at the beginning of the film, when Richard complains that he hates his new black high tops, wishing that he had bought a pair of red high tops like all the other kids in his class have. But in the long run, Richard’s black high tops serve him quite well, and help show off the difference between him and those under the spell of Dorf. An instant later we see them laced up on his feet. Aliens for Breakfast. (1994) Sinbad, Ben Savage, Jarrett Lennon, Alfre Woodard, Zachary Bostrom, Teri Garr, Shelley Duvall. Directed by John Kretchmer.